Chapter three of Zodiac takes the form of an ancient poem found long ago in dark cavernous ruins. Leo is the story of a vicious and evil ruler of a far away land. Each of Leo's thirteen stanzas are accompanied by an illustration from what might be the major arcana of this cursed realm's dark tarot. 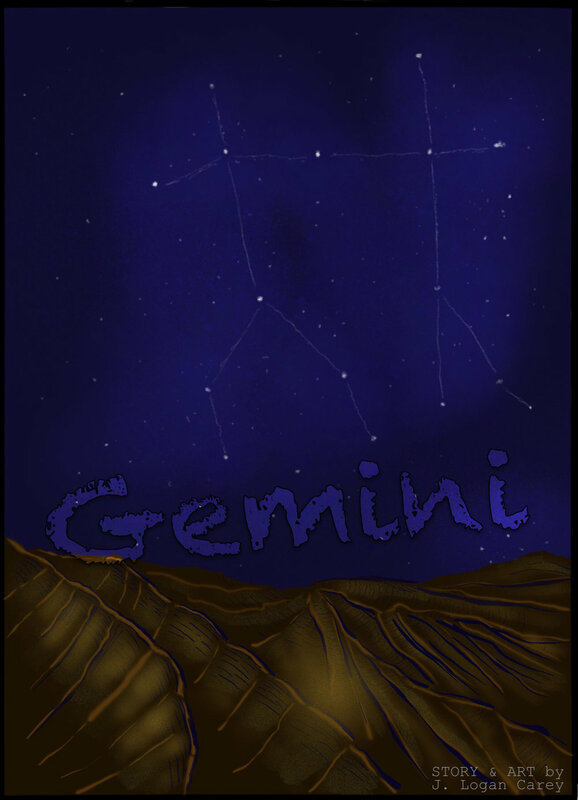 The Cancer chapter of the Zodiac series takes us into the far reaches of the unknown. A deep space exploration ship, its human passengers, and the artificial intelligence at its core survey an uninhabited planet. Among the quiet mountains, mesas, and riverbeds lies only the windblown dust of countless ages...and perhaps something more, something that might spell disaster for the mission ahead. Born from the poem, "Leo," from my short story collection, "Zodiac," Nachtmahr is a short collaboration with my long-time friend, Trevor Denham. Nachtmahr is German for "Nightmare" and the demonic king of the original poem is just that within these pages as he terrorizes the land and its inhabitants to satisfy his insatiable appetites.